Vee Cut crack approximately ½” wide and deep. Using 4 X 4” #3 Rebar staples – Drill ½“ holes on each side of the crack. Cut two straight lines across from hole to hole to counter sink the staples approximately ¾“ depth. Cut & remove 12” wide swatch of pool plaster only if Pool is to be repaired and returned to service. Staples should be preset in a 12” on center pattern for a proper fit. 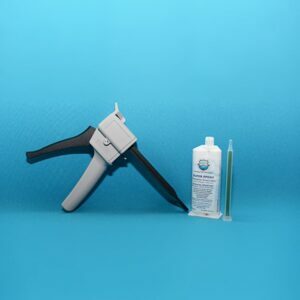 Now you will install the staples using AquaGuard Super Epoxy with a static mixing gun. 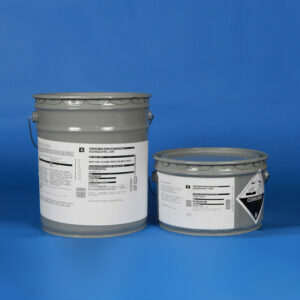 Allow to cure 4-6 hours to reach a comprehensive strength of 14,000 psi with a bond strength over 2,000. 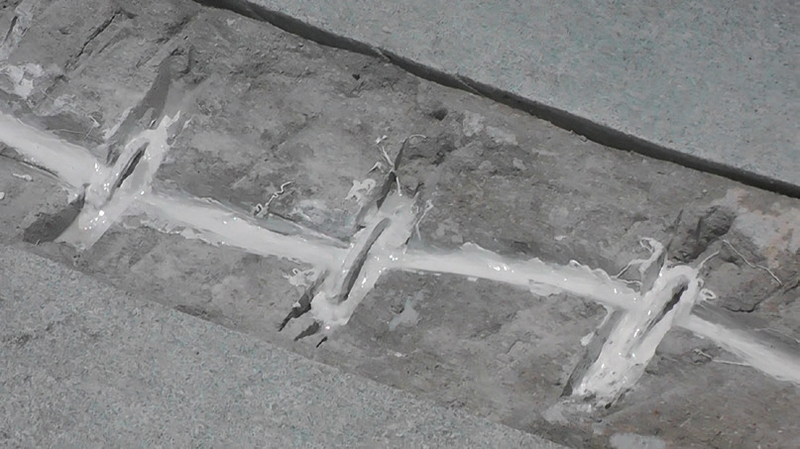 The next step is to float grey hydraulic cement over the entire crack to smooth out the repair and allow to dry. This will prevent any rebar burns. Now install a 12” wide 17oz. 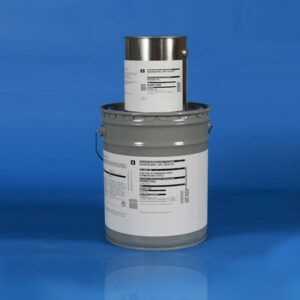 Biaxial Fiberglass with a vinyl ester resin. This will create a bridge over the entire crack repair and give flexibility. Once completed it is ready for the application of AquaGuard 5000. Now Pool Cracks can be permanently and easily repaired.